Hi everyone, Magento Developers Paradise is getting closer, so we pulled up this post to a frontpage again. Branko Ajzele, our project manager and senior developer is scheduled to speak at the conference in Mallorca (October 10-12). Clone Yourself: How to Effectively Share Magento Knowledge with New Developers will be the title of the session where he will share the tips and tricks on the best ways of training new developers and preparing them for the adventure that is Magento. Branko is the most experienced Magento developer on our team (the first one to join Tomislav after he founded Inchoo two years ago) and he has been involved in training and mentoring activities with most of the current team members. With Magento learning curve being somewhat steeper than with other platforms, he’s had his share of very interesting experiences while spreading his Magento skills and knowledge throughout the company. When we were approached by Kara Heinrichs, GM for Education, training and certification at Magento, with the invitation to have a speaker at Magento Developers Paradise, Branko was the obvious choice. The fact the conference is taking place in Mallorca only helped him make the decision. Magento Developers Paradise is an international conference for Magento developers that will be packed with keynotes, sessions, sneak peeks into the future development of the platform and, of course, fun in the sun. Keynote speakers will include Yoav Kutner, CTO of Magento and John Lunn, Head Wizard of PayPal X. You can find out more about the confirmed speakers here. Tomislav Bilic, our CEO, will also participate in the conference, so if you’re keen on finally meeting some Inchooers in person (and in Mallorca, for that matter), check out the conference schedule and register – we hope to see you there! It was great to meet and talk with you at the conference Branko. 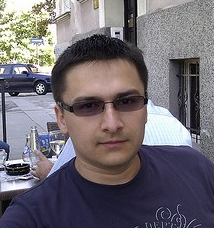 Branko – Looking forward to meeting you and hearing your speech at Magento’s Developer Paradise. Good luck Branko, you deserve it! Thank you! You guys are awesome. I will check out with Magento Organizers to see what are the available options. Great news,Branko. I hope I can make it to the conference. It would be nice to meet you.